I don’t particularly like to apply too many products to my face, as I believe that it’s best to let your skin breathe. I’m also very aware of the high amount of chemicals in most of these products, so feel it’s best to minimise this as much as possible- after all, anything that you apply to your skin and don’t wash off is absorbed. Anyway, there’s only a few skincare items that I actually allow near my face and this is one of them… Tea Tree Facial Wash by The Body Shop. A refreshing organic tea tree based wash to open up your pores and remove impurities, leaving you with clearer skin. The item that I reach for first if I feel a blemish on it’s way. I also use this as part of my everyday routine, as it’s gentle enough to use daily. It is recommended for blemished skin however I’m actually lucky enough not to suffer too much with outbreaks. I still find the wash perfect to awaken and freshen my face and if a spot does attempt to break loose, my Tea Tree Facial Wash usually does a very good job of keeping it away. An amazing one for anybody suffering with acne, but I also recommend it all round! Our Community Trade organic tea tree oil comes from The Kenya Organic Oil Farmers’ Association (KOOFA), a co-operative of over 550 small-scale organic farmers around Mount Kenya National Park. Our products contain only pure leaf essential oil, made with hand-harvested leaves and gently steam-distilled for an exceptional-quality purifying essential oil. 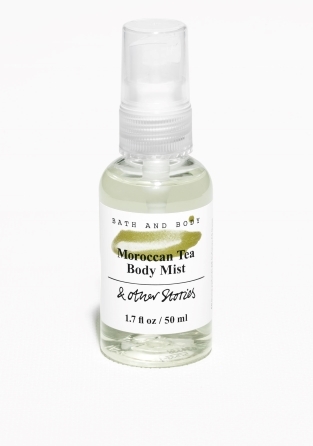 The leaves are steam distilled within 12 hours of harvest, using a gentle heat to ensure a high quality tea tree oil. Our trade helps provide the smallholder farmers of KOOFA with a steady income, which means that they can develop sustainable farming systems and fund community projects in their local area (The Body Shop, 2016). Taking care of your skin is just as important as looking after any other part of your body and & Other stories are making it so much more enjoyable. Their Bath and Body range not only makes your skin feel great but also smells delicious (there’s even a scent to suit every taste)! 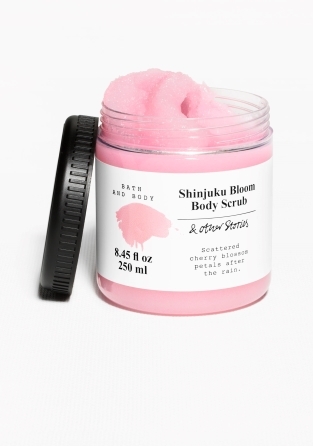 From body scrubs, washes, mists and oils to hand lotions and soap, they have every body care product that you would wish for to keep your skin glowing daily and it doesn’t just stop there… Each set of products is available in a different scent. All so yum that I’ve had to list a few below! Moroccan Tea- fresh mint leaves stirred into sweet amber tea. Arabesque Wool- deep earthy oud with a twist of citron. Shinjuku Bloom- scattered cherry blossom petals after the rain (my favourite). 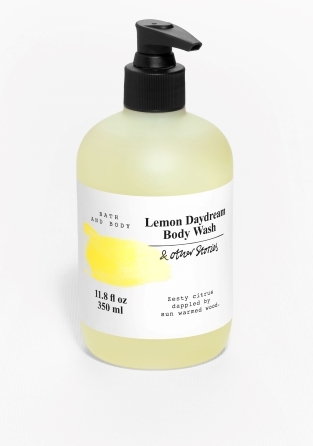 Lemon Daydream- zesty citrus dappled by sun warmed wood. Floral Memento- dusty violets settling amongst bergamot trees and peony dreams. Steel Gardens- petals swept in a silver haze revealing hints of forever floral. Punk Bouquet- frothy vanilla soda on a rebellious rose bouquet. Tangier Tales- a veil of dark amber lingers over sultry pear. Botanic Whisper- vivid orange blossom tinged with coriander. Belleville Bakery- tangy lemon juice melting into creamy vanilla.